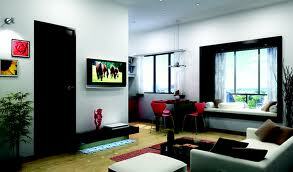 Hyderabad Real estate seeks ways to meet higher demands for transit oriented residential units. Hyderabad real estate hopes that they will be fostered by the proposed Metro Rail. Hyderabad real estate has shown higher pace of development. with the arrival of new Metro Rail plan the city is to gain more transmit system which will in turn cause more demand. Hyderabad Metro Rail (HMR) Managing Director N.V.S. Reddy has remarked that the cities tend to get reoriented to mass transportation systems. Property prices in these areas behave in different ways. While participating the conference ‘Real Estate: Accelerating the Growth Story’, conducted in relation to the APREDA Property Show-2012, Mr. Reddy expressed his hope that the proposed Hyderabad Metro Rail will boost Hyderabad real estate growth. Property Show-2012 by the Andhra Pradesh Real Estate Developers’ Association (APREDA) showed greater transit oriented development in Hyderabad city. The proposed metro rail will fast up the Hyderabad real estate to boom in the eastern parts. While addressing the conference and Hyderabad real estate property expo, Hyderabad Metropolitan Development Authority (HMDA) Commissioner, Neerabh Kumar Prasad urged the Hyderabad real estate developers to construct affordable homes. He added that larger segment of the people are looking for low budget homes which fall below Rs. 20 lakhs. He further stressed the need of reducing land cost in achieving such low cost homes. Mr. Prasad mentioned of special incentives to the real estate while concentrating on high rise development which will be transit oriented development. He pointed that both HMDA and HMR are moving forward with TOD concept. According to this TOD concept, an area in a circle along each metro station will be notified. When the metro rail gets the shape, the area along the outer ring road will become prime land for real estate development. HMDA’s Mr. Prasad said that the Authority is ready to help in the infrastructure growth of the area. He added that this is only for reducing the prices of the residences by facilitating as much supply as possible. Higher supply will push down the demand and prices, he expressed his hope. Highlighting the higher impact of existing political situations on Hyderabad real estate, Jones Lang LaSalle’s Anuj Puri stressed the need of creating Tier-II cities. Creation of such Tier –II cities will take the heavy burden away from the Hyderabad, he continued saying. The Hindu reported that the property show draws huge number of people. Larger number of crowds who showed genuine interest in purchasing homes really filled the real estate developers’ mind with new hopes. However the property expo could drag the people to a greater level and what we want to see next is how far the metro rail will boost the Hyderabad real estate. Patel Realty India Limited (PRIL), a subsidiary firm of Patel Engineering, is all set to invest 75-Crore in two real estate townships in Hyderabad.